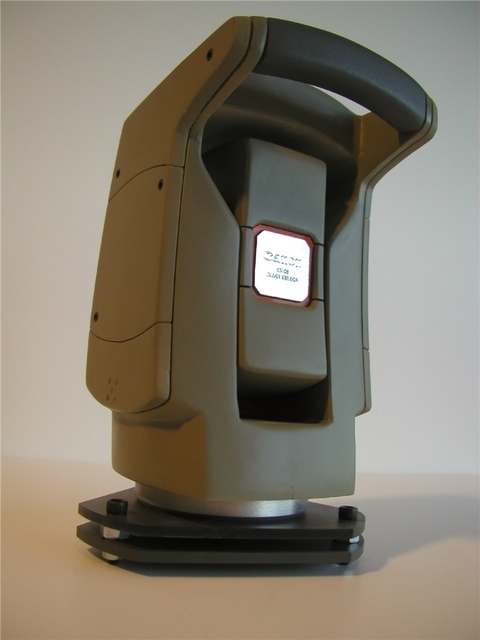 Since the Nomad GPS is a totally robotic, remote operated device, the idea of looking “through” the scope has become almost completely pointless. 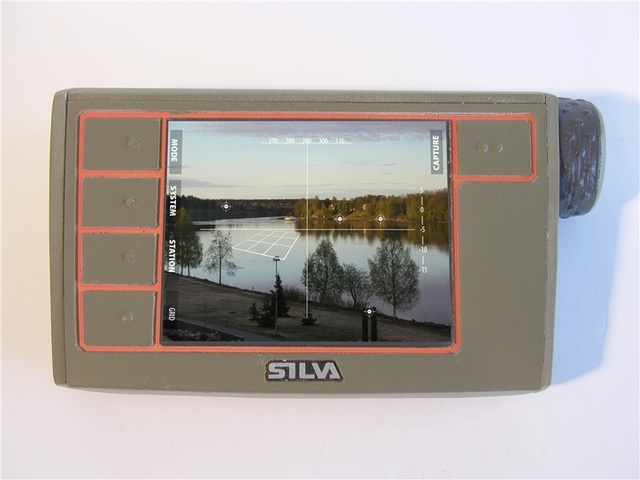 Thus the viewfinder on the traditional total station is replaced with a digital image sensor, relaying the view through the scope to the screen on the remote controller. 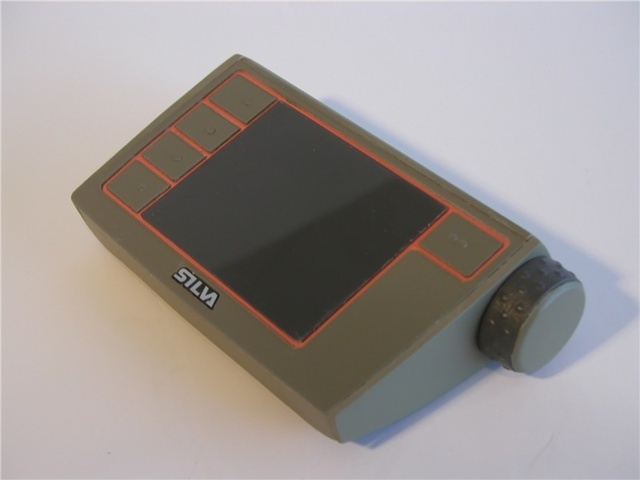 The remote controller for Nomad GPS is in fact a full blown handheld computer with an operating system and various software running on it. Since the input requirements would differ greatly depending on the job at hand and the software being used for that, the remote does not have any dedicated controls. and one on the other to act as a selection/trigger button. There is also a single force feedback knob, which uses an Immersion Technologies Haptic Encoder. This enables the software to simulate resistance, notches, spring action and dead ends on the same knob and immediately switch between modes depending on the requirements. One of the biggest challenges of existing control panels and remotes for total stations is the requirement to identify a specific measurement. The traditional approach is to give a text label or a number to every measured point, and some controllers even squeeze a full alphanumeric keyboard onto a limited surface for this purpose. 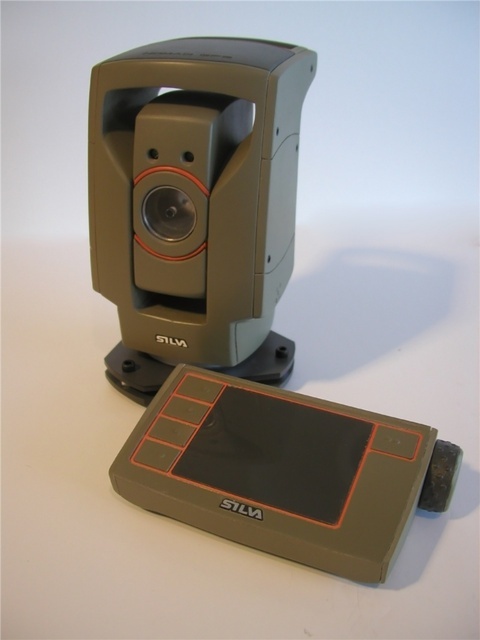 The inclusion of a digital image sensor gives an opportunity on this regard. The system could easily capture the transmitted image along with the measurement and mark the measured spot on the image. This is a much more intutive way of identifying a measured point, and it requires no extra action on behalf of the user.